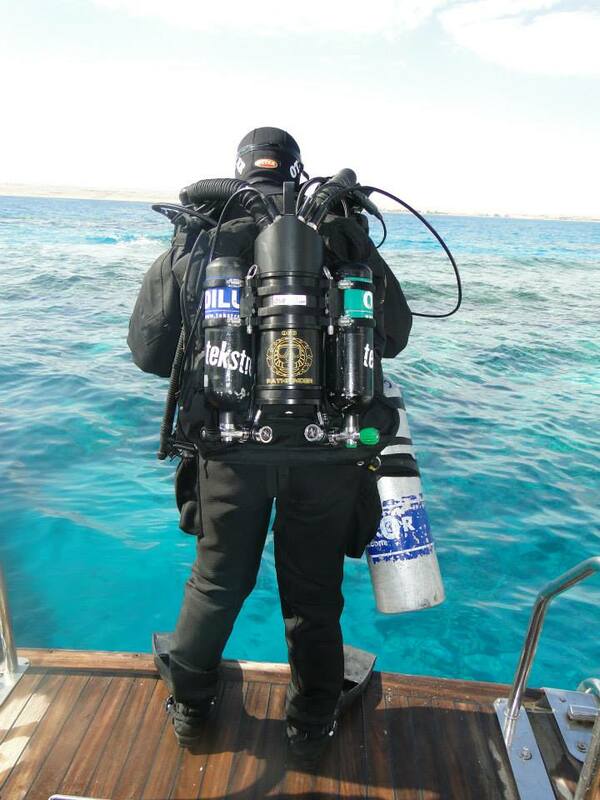 Lets explore the Tekstreme technical diving locations of the Red Sea ….. Since 2002, the Port Ghalib International Marina has been a crowning feature in the community. With space to accommodate up to 1,000 yachts, it makes for a stunning harbour display. The award-winning International Marina is fully staffed with Harbour Master, Customs and Immigration office for traveling ships, as well as fully equipped repair and fueling facilities. As Egypt’s first private seaport, the marina is upheld to international standards by UK based marina company Camper and Nicholson, who have acted as the marina’s operator consultants since 1999. The half a mile peninsula features multiple venues for dining, entertainment, boutique shopping, cultural expeditions into both antique and modern art, facilities for outdoor activities and a lively night life. Further inland, discover a traditional Egyptian bazaar in the Khan, where history comes alive with the collection of perfumes, jewels and other treasures, creating an authentic experience of Egypt’s rich merchant culture. 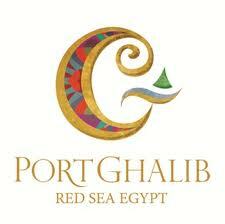 Port Ghalib is a waterfront premier integrated resort community situated on 18 kilometers of virgin shoreline. Located in the rising city of Marsa Allam, Port Ghalib is an investment that is already redefining the exotic coast of the Red Sea Riviera. The dazzling 8 million square meter master plan planned to contain a plethora of investment opportunities ranging from luxury beach front villas, elite golf estates, and superior Marina apartments to internationally renowned hospitals, schools, spas, water parks and international luxury hotel chains. With a variety of high-impact and low-impact land, water, and desert activities, Port Ghalib truly is A World of its Own. Our furthest north site and one for good weather only, Torombi always gives a wilderness feel. Immaculate corals underwater, an undeveloped coastline view – and often you’ll be the only boat there! Usually a school of barracuda meets the divers under the boat in summer months and mesmerise with their movement. Moving around the pinnacles at the deeper part you will spot rays, Scorpionfish and Lionfish before ascending to the finger-like walls on the eastern side of the largest pinnacle. Here the colourful hard corals are host to thousands of small reef fish, and perhaps even a Hawksbill Turtle. Only 10 minutes north of Port Ghalib, the 5 sites of Torfet Ali all have deep, blue water and sections of steep drop-offs. While advanced divers will enjoy drifting along at depth, those who want to stay shallow will find sand shelves and reef tongues to explore. Whatever depth you are, keep an eye out in the blue. Large tongues of coral form slopes and small canyons on this dive meaning the scenery is always changing. Expect large schools of fusiliers to accompany you as you explore the coral beds and the sand strips. Critters such as Whip Coral Gobies can be spotted here, but of course the shallows are packed with Butterflyfish, Angelfish and Goatfish. 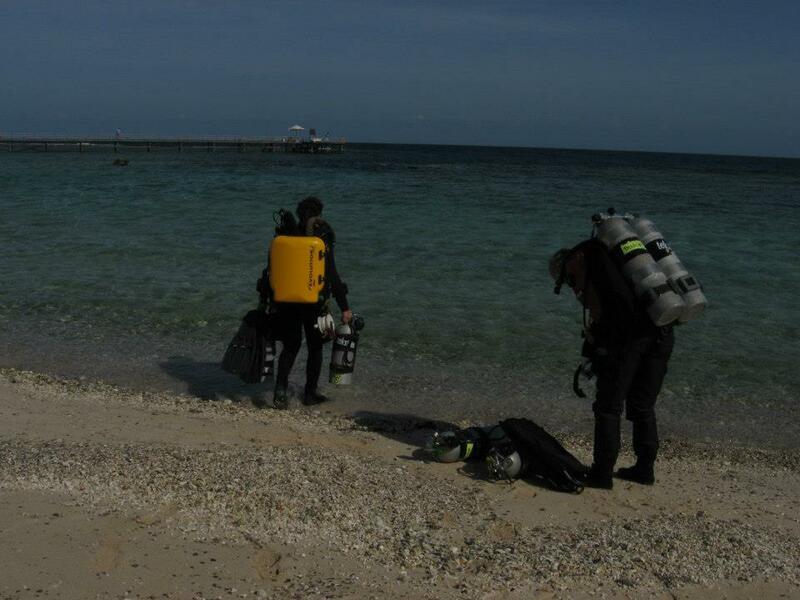 Our nearest and largest bay which provides a huge range of dive sites suitable for all levels of diver and snorkeller. If you would like to see the famous Dugong, you will have a good chance in this bay. A favourite for photographers due to the patient fish life, this site, named after the word ‘school’ due to it’s versatility for training course does not immediately ‘wow’ the diver like some of our others. However dive slowly and you will find stonefish, scorpionfish, pipefish, frogfish and crocodilefish living amongst the nooks and crannies. When you head around the corner, you are confronted with a set of pinnacles swarming with juvenile fish and their ever present predators, and even an anemone city. Quite often, this is the site people ask to dive again! Salmaan’s throat – a cut in the reef that doesn’t reach the shore – is a site that is relatively undived. 2 very different dive sites are available here, between them a lagoon that often welcomes pods of Spinner Dolphins. Good visibility and excellent corals are a safe bet as Ras El Torfa and there is always the chance to see turtles, rays and even sharks. Hawksbill turtles are regular visitors and there is a pinnacle infested with boxer shrimp for the macro lovers, but the coral is the star with beds of goniopora mixing it with huge salad corals. Exploring further south you could spot a turtle or two, but on the way back watch out at 9mt for one of the most picturesque pinnacles in this area, complete with a totally undamaged table coral that plays host to the secretive lemon coral goby. 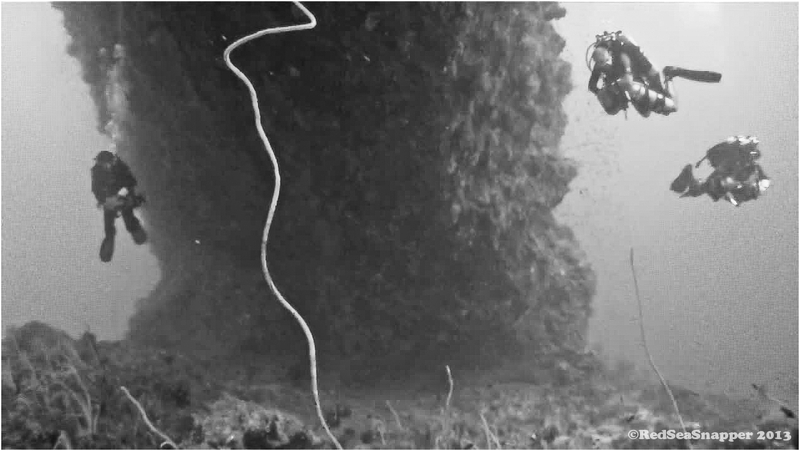 For advanced divers only, seeing the ‘big ball’ loom out of the distance at a depth of 25metre and going downwards is a memorable experience. On the outer edge of this unique coral formation the drop off extends below 50mt and you are right out in the blue, meaning big life encounters are possible. 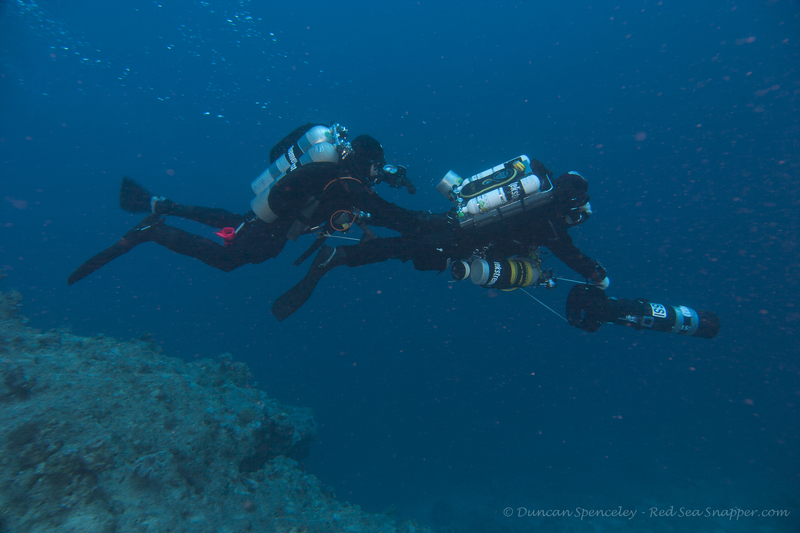 A very narrow bay an hour south of Port Ghalib, Shouni Soraya provides easy access to 3 very different dives. Cross the sand plateau on the south reef, keeping your eyes out for large rays as you do. You then hit a series of 3 large pinnacles out in the blue, smothered in the bicolour chromis fish – giving the site its name ‘half and half’. Barracuda and rays can surprise you on these pinnacles, before you cruise back along the south reef wall. Our furthest site accessible locally, this idyllic palm tree lined bay is a beautiful place to moor up and dive in. Best explored at depth to start with, the overhangs and whip corals make nice scenery. Shallow up and explore the pinnacle in the centre of the laggon for loads of critters before drifting over the reef tongues and sand patches, enjoying the table corals scattered across them. On the way over you’ll go across a deep patch of seagrass where we often spot small green turtles and even from time to time Dennis, the dugong of Abu Dabab fame. On the way back you’ll do your safety stop on a 5mt sand plateau covered in soles, flounders and partner gobies. The housereef at our Moreen Beach Dive Centre. Known as one of the most beautiful shore dives in the region, stunning scenery and wonderful marine life combine for awesome diving days. Start from a shallow pool and follow a guideline underwater to twist you down to 4 metres through a coral canyon. Move into a shallow cavern and be awed at the light coming in from different angles around you. Exit the cavern at 7 metres and drop down the reef wall to depth. Follow the hard coral tongue down to your desired depth looking for turtles as you go. Look at every whip coral for gobies and shrimps, and keep an eye in the blue for bigger creatures. Shallow up and return back, either coming back through the cavern or doing a gentle stop in the lagoon. Large triggerfish can be found around here, and dolphins and eagle rays can make an appearance too. Accessible in less than 15 minutes by fast RIB from our Moreen Beach Dive Centre, these offshore sites have great visibility, fantastic marine life encounters, swim-thrus, pinnacles and even a small wreck. Sha’ab Abu Dabab 1, 2,3, 4, 5, 6 & 7 – Imaginatively numbered and not individually named, these rarely dived reefs leave a lot of room for exploration. Most have a deeper, East side facing into the waves and prevailing current and can be a place to drift dive and spot larger pelagic life. The West sides offer more protection, shallow slopes, pinnacles and swim-thrus. 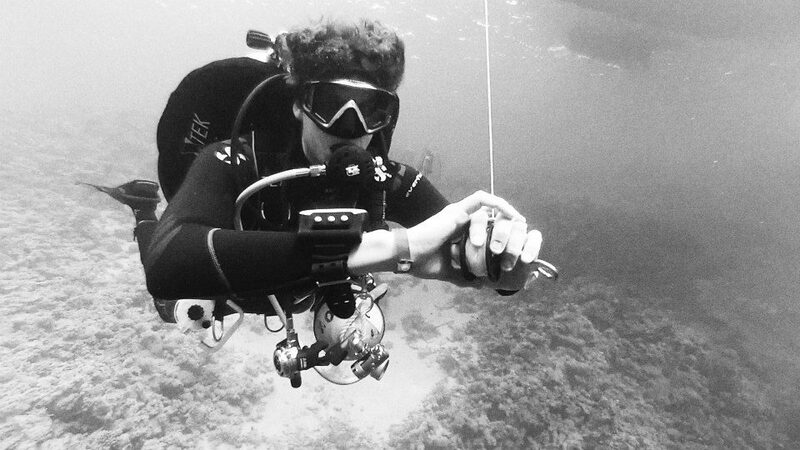 Every dive will be different and you’ll be very unlucky to see another dive group on your dive! A world famous offshore reef, Elphinstone is the jewel in our crown. Sheer walls and sometimes currents at exhilarating speeds make this one for advanced divers only but it will be one you remember. Dive the east wall in the morning and the west in the afternoon to make the most of the sun, and light up the abundant soft corals. Anthias smother the walls and large gorgonian fans and black corals hide critters such as the infamous longnose hawkfish. Keep an eye out in the blue for resident schools of snapper, large barracuda and enormous Napoleon wrasse. 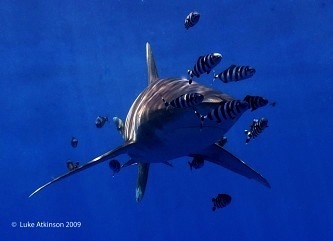 The north and south plateaus drop to over 100 metre in depth but can be a place for very special encounters – manta rays, silvertip, tiger, grey reef and hammerhead sharks have all been seen here and cruising the shallows at the right time of year can be curious silky and oceanic whitetip sharks. Lying under the southern plateau at a depth of approximately 55 – 60m, is a natural archway allowing divers to swim from one side of the reef to the other. An awe-inspiring image that will stick in the memory for a life time. How to get to Port Ghalib…. We’ve arranged a new, affordable way for you to come and dive in Marsa Alam! Whether you’re a regular Marsa-lover, or want to try this great diving destination for the first time, finding good value or convenient flights to Marsa Alam Airport, especially from the UK, can be difficult. Monarch have announced that they are operating 3 flights this summer to Hurghada from Gatwick, Manchester and Birmingham. If you book soon you can get them at very reasonable prices. So how about a helping hand and a free ride? For all guests arriving in Hurghada on Fridays we will provide you with a free of charge transfer to and from Marsa Alam. But what if you can’t arrive on a Friday? Don’t worry we have a standard price of 25 Euro /£21 for a ‘round trip shared transfer’ Hurghada Airport – Marsa Alam Hotel – Hurghada Airport. Just book your Marsa Alam package and add the transfer – nice and simple. If you would prefer to fly into Marsa Alam itself you can check out the flight options provided by Thomsons and Egypt Air. We can book your hotel for you and arrange for you to be collected form the airport.